Sometimes due to the size of our little shop we can’t carry all the yarns we love all the time. But it just makes us that much happier when we have the space to carry them again! Looking for some fun to knit sock without commentary? We’ve got Rachael Coopy’s CoopKnits Socks Volume 1, Socks Volume 2 and Socks Yeah! Vol 1 for beautiful, fun to knit sock patterns. Did you know that you can sort through our large library of books, by designer/ publisher, subject matter or language? It’s right at the top if you’re viewing on a phone, or on the left side of your screen on a computer. Qing Fibre Gilitter Sock is one of those yarns. This yarn has a wonderful light sparkle that is also super soft. We love the pizazz the super thin silver glitter thread gives to both semi-solids and riotous colors alike. 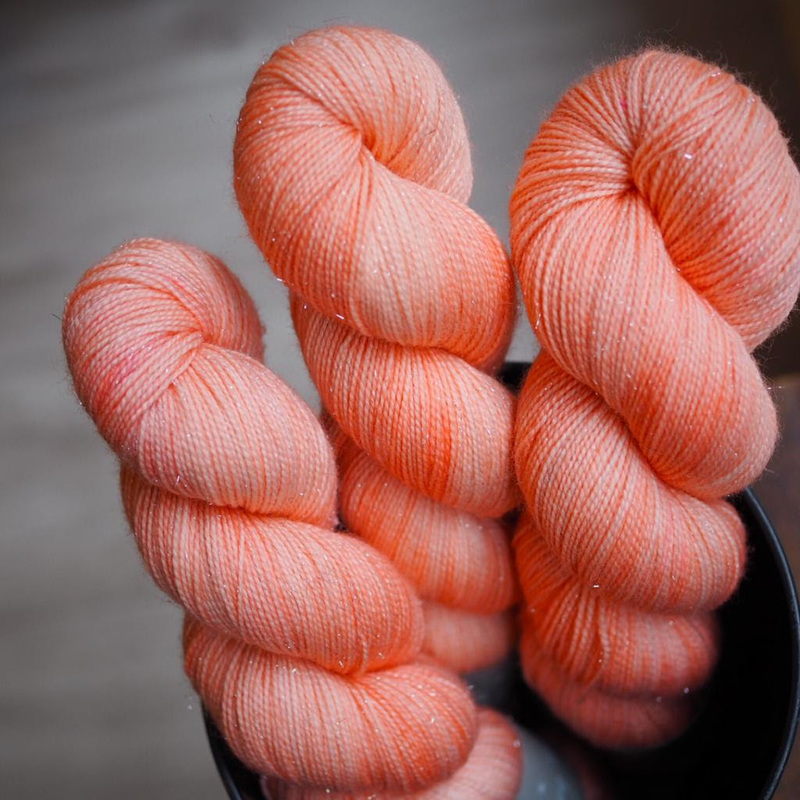 We think this yarn would be great to try designer of the month La Maison Rililie’s No Heel Spiral Socks. Love socks and knitting history? 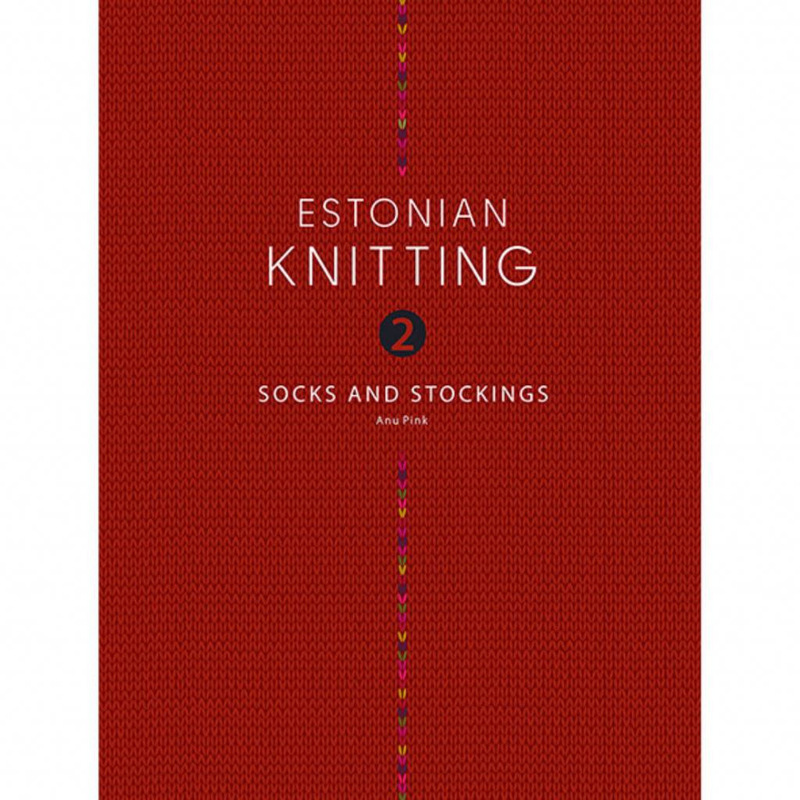 We’re so happy that Estonian Knitting 2; Socks and Stockings is now available in English! This book includes complete instructions on sock and stocking knitting as well as a remarkable selection of the heel and toe constructions used in traditional Estonian knitting. Over 200 stocking, sock, and leg warmer designs offer inspiration for both traditional knitting and the creation of new sock patterns. Looking for lots of fun to knit sock patterns? 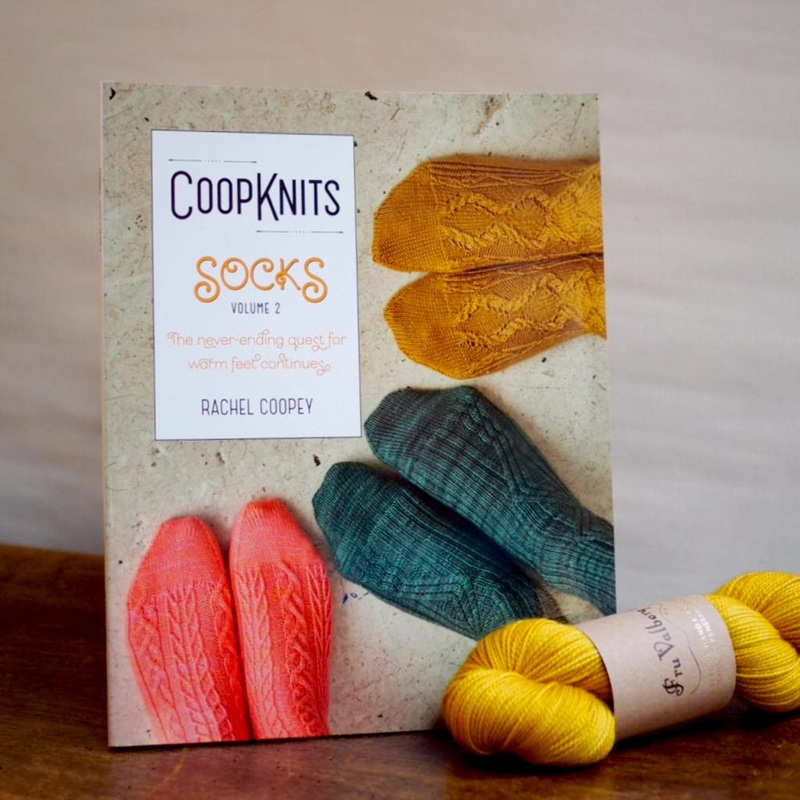 You're sure to find something you like in one of Rachael Coopey’s three volumes on the subject: CoopKnits Socks Volume 1,CoopKnits Socks Volume 2 and Socks Yeah! Vol 1. With everything from cables to colorwork, Rachel has covered the bases.